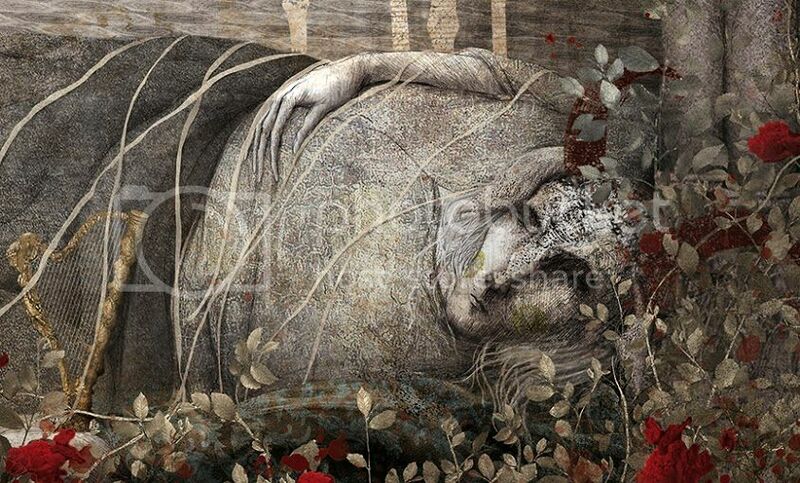 Check out these fantastic images by artist Gabriel Pacheco! Although there is no date yet for the release of this book, The Beast by Lindsay Mead should be out by the end of the year. Summary: "Demon possession has swept through Glace's neighboring kingdom, turning humans into hellhounds. These great, fanged wolves are wild, desperate, and hungry. Only the sworn Hunters have kept them back for five long, bloody years. Amid a backdrop of Steampunk inventions and a harsh winter landscape,The Beast is a re-imagining of the infamous love between a beauty and a beast." 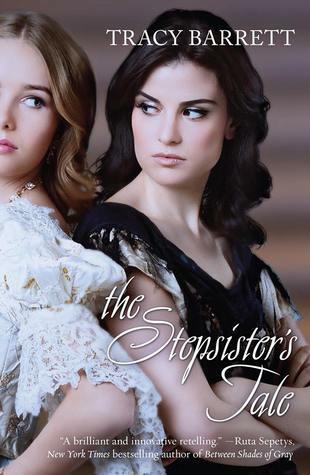 The Stepsister's Tale by Tracy Barrett will be released June 24 but can be preordered now. Telling a tale through a different perspective, especially the villain's, will probably prove to be even more popular than it was before, due to Maleficent. "What really happened after the clock struck midnight? Jane Montjoy is tired of being a lady. She's tired of pretending to live up to the standards of her mother's noble family—especially now that the family's wealth is gone and their stately mansion has fallen to ruin. It's hard enough that she must tend to the animals and find a way to feed her mother and her little sister each day. Jane's burden only gets worse after her mother returns from a trip to town with a new stepfather and stepsister in tow. Despite the family's struggle to prepare for the long winter ahead, Jane's stepfather remains determined to give his beautiful but spoiled child her every desire. When her stepfather suddenly dies, leaving nothing but debts and a bereaved daughter behind, it seems to Jane that her family is destined for eternal unhappiness. But a mysterious boy from the woods and an invitation to a royal ball are certain to change her fate…. From the handsome prince to the evil stepsister, nothing is quite as it seems in Tracy Barrett's stunning retelling of the classic Cinderella tale." By the way, if you, like me, love a good fairy tale retelling but feel overwhelmed by how many are out there these days and don't know where to start, Goodreads has a list of Fairy Tales Retold. It's a handy way to have a large list all in one place, plus you get the added bonus of being able to see what people have rated each one (although for many of them, only one person voted). 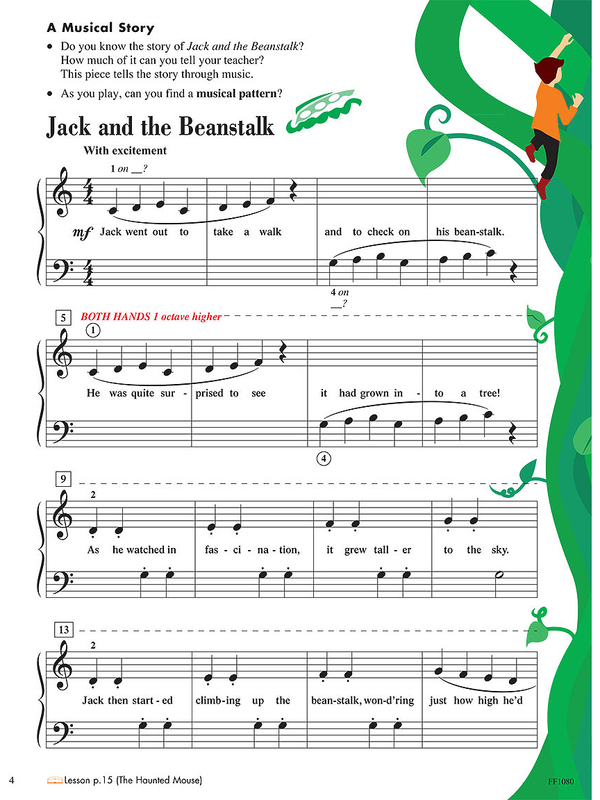 The piano series I usually teach from, Piano Adventures, has a song in the Level 1 Performance book entitled "Jack and the Beanstalk." I hadn't thought anything about it was especially blog-worthy; musically I like how it uses a step-wise ascending pattern to portray Jack climbing up the beanstalk, and at the end the student gets to portray Jack "falling" down through falling not clusters that they enjoy playing. But I did realize recently that in the words, this song omits the giant entirely. I'm sure it has to do mostly with finding words that fit in a short little song, but I also wouldn't be surprised if the creators of the series wanted to avoid hinting that Jack caused a violent death. We in the fairy tale world lament how these stories become so sanitized and made family friendly, but I do understand how you'd want to avoid being sued by the three upset parents out of the thousands of happy parents and teachers. Being Level 1, this book is generally played by fairly young students anyway. 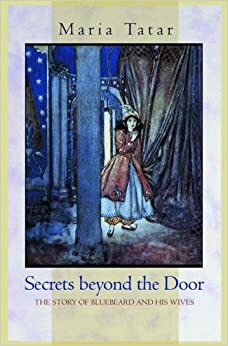 I'm about halfway through this book and have yet to find more than a handful of stories that I would call "fairy tales" rather than legends, or parallels to familiar fairy tales. There was one story that started like Rumpelstiltskin, with a lazy daughter who didn't want to spin, but instead of being told to spin gold and helped by a funny looking little man, she was cursed to go spin in the Moon. But I'm always fascinated by mermaid tales. And if there's anything we know about mermaid folklore, it's that these mermaids are entirely different than Hans Christian Andersen's suffering, lovesick young girl. Mermaids are dangerous and creepy, known to entice men to their lair below the surface, where the men often forget their families for a time. If they do return to land, they are often cursed, as are the offspring of men and mermaids. 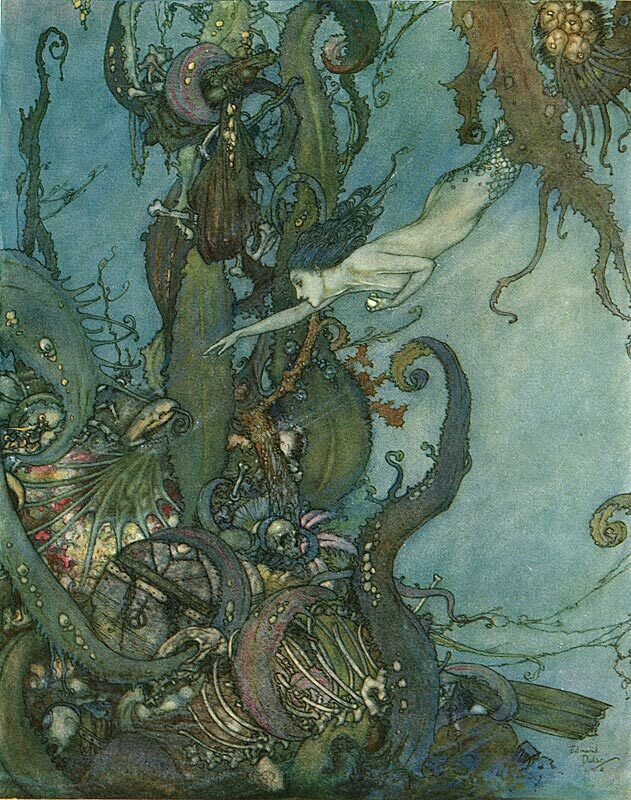 As far as origins, according to the beliefs of the people of Germany's Upper Palatinate, "The Mermaid was once a fair and beautiful princess, but also very cross and fitful, whereupon her own father cursed her and banished her to the sea where she would be able to do whatever she wanted. Thus she became half woman and half fish, living in the sea, where she announces through a very distinct song that a storm will occur in 24 hours." "A ship on the ocean had run out of corpses for the Mermaid, and it had to be decided by lot who among the crew should be sunk into the waters. A handsome young man drew the lot. But the Mermaid had mercy on him because his bride was already waiting for him with longing on the shore of the country nearby, and she carried him to the shore, and gave him as a present three little bags full of gold, silver, and pearls. In return, the bridal couple had to promise her the seventh child born to them. When that child came into the world, the Mermaid appeared and took delivery of it; for she is allowed to assumed human form on every seventh day of the week; she comforted the grieving parents by assuring them that the little one would be treated well. A long time had passed, when the oldest son, against his parents' will, chose a poor girl for his wife, and they cast him out. Thereupon the Mermaid reappeared, brought back the seventh child, who had grown up to become a handsome young man, and brought rich presents for the unhappy bridal couple, but once again, in return for their promise that the seventh child of the marriage would belong to her. To this day, the Mermaid is the kind and protective spirit for this family; when misfortune strikes, she comes to help; but always she has a child from the family circle with her in her palace of glass under the sea, and once this child has grown into a young man, she puts him back and takes another." "Being seventeen during World War II is tough. Finding out you’re the next keeper of the real Cinderella’s dress is even tougher. Kate simply wants to create window displays at the department store where she's working, trying to help out with the war effort. But when long-lost relatives from Poland arrive with a steamer trunk they claim holds the Cinderella’s dress, life gets complicated. Now, with a father missing in action, her new sweetheart shipped off to boot camp, and her great aunt losing her wits, Kate has to unravel the mystery before it’s too late. After all, the descendants of the wicked stepsisters will stop at nothing to get what they think they deserve." 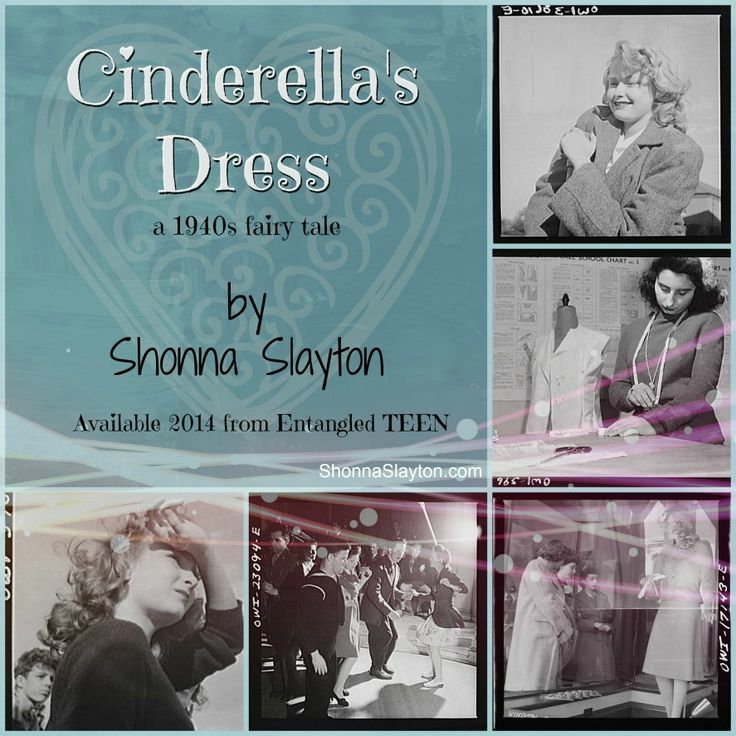 To make it even more interesting, according to Slayton's website, this book began as a project for NaNoWriMo, or National Novel Writing Month, which I believe several writers and readers around the fairy tale blogosphere participate in. I'm a sucker for anything that entertains the possibility that fairy tales are rooted in historical fact, and for anything fashion related. This sounds like a refreshing new take on the well-known, and often reimagined, Cinderella tale. There were once two sisters. The elder was called Beauty, because she had a beautiful face, and the younger had a face covered with pock marks and was called Pock Face. Her mother was the second wife of their father. Beauty's mother had died when she was very young, and became a yellow cow. Beauty loved the yellow cow, but the stepmother treated it badly. One day the stepmother took her daughter to the theater and left Beauty at home. She wanted to go, but her stepmother told her to straighten the hemp in her room. With the help of the yellow cow, she did so, but the next day, instead of taking her to the theater, the stepmother gave her another task, which the yellow cow again did for her-separating sesame seeds from beans. The stepmother asked who had helped Beauty, and she revealed it was the yellow cow. 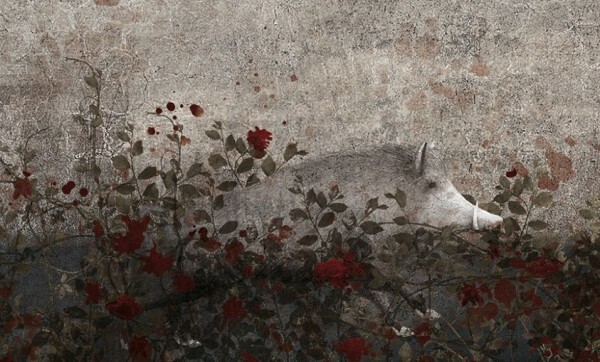 The stepmother was angry, killed the cow, and ate it. Beauty saved its bones and put them in her bedroom. But her stepmother would still not take her to the theater. Beauty became so angry that one day she smashed everything in the house, including the pot that contained her mother's bones. 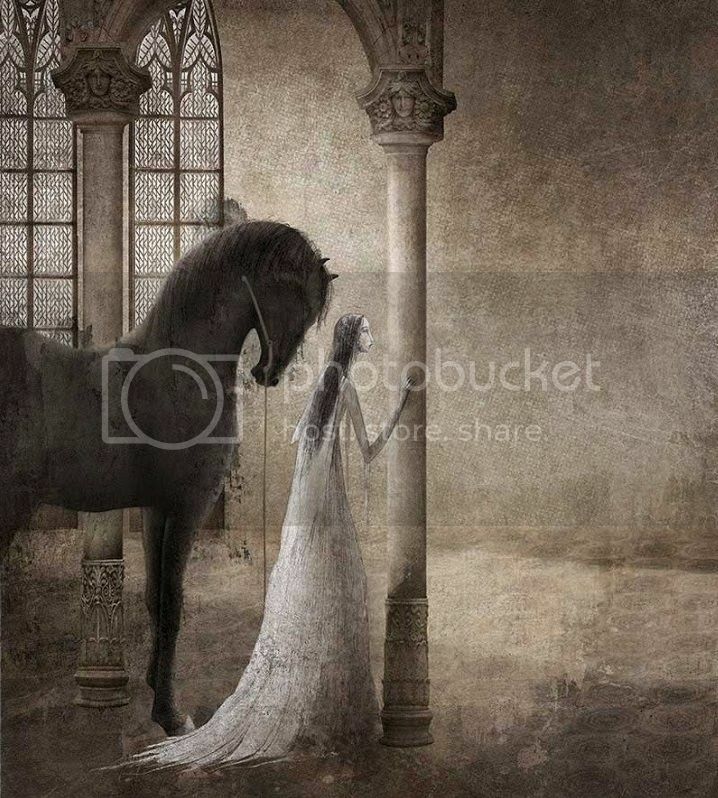 There was a loud crackling sound, and a white horse, new dress, and embroidered shoes came out. She put on the new dress and shoes, jumped on the horse, and rode out of the gate. She was riding along, and one of her shoes came off. Along came a fishmonger, who returned the shoe and offered to marry her. She responded, "Who could marry you? Fishmongers always stink." The same thing happened with a rice clerk, but she refused, saying rice brokers are always covered with dust. She rejected an oil merchant, because oil merchants would be greasy. Finally a scholar came by, picked up her shoe, and offered to marry her. This she thought was a good match, and they were married. Later, the newly married couple went back to Beauty's family's house to pay respects. Beauty's mother and sister pretended to be kind to her, but Pock Face tricked Beauty into looking into a well, and pushed her in. Beauty drowned. Her husband grew concerned when she didn't come home, and Beauty's family lied and told him she was sick. He sent all sorts of presents over, which they greedily took for themselves. Finally, Pock Face went back to the scholar, pretending to be Beauty, whose face had been changed by smallpox. The scholar couldn't believe it was his wife, but the stepsister cried and he tried to comfort her, despite his doubts. 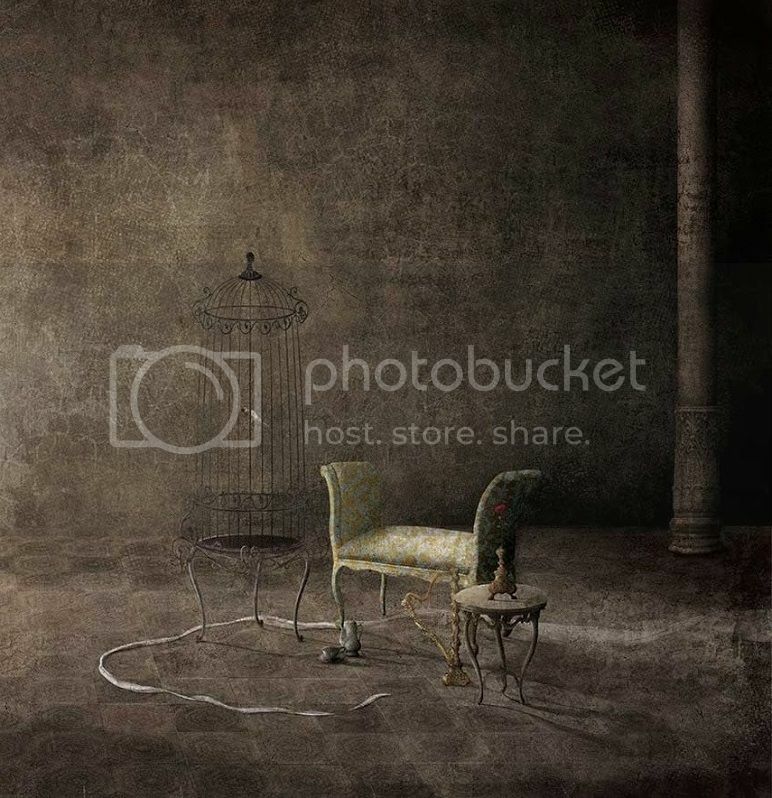 Beauty had become a sparrow, and came to her husband's house, where he discovered who she really was, and kept her in a golden cage. Pock Face discovered the bird, and in her jealousy killed it and put it in the garden. Beauty then became a bamboo, which Pock Face had cut down and made into a bed. But whenever she lay in the bed, she felt needles pricking her all over, although the scholar felt it comfortable. So Pock Face left the bed out, where an old neighbor woman found it and took it home. The old woman was surprised when each day she found dinner mysteriously prepared for her. Finally she caught a shadow washing rice, and asked her who she was. Beauty told her everything, and told her what she needed to be restored-a rice pot for her head, stick as hand, dish cloth as entrails, and firehooks as feet. The old woman brought all these things, and Beauty was restored. Beauty gave the old woman an embroidered bag to give to her husband, and the husband recognized it as a gift he had once given to his wife. The old woman told him everything, and he brought Beauty back to his house. Pock Face was upset to see her sister again. She demanded that there be trails to prove which one was real. Though she failed every test-walking on eggshells, then walking up a ladder of knives, she demanded a third. First Beauty jumped into a cauldron of boiling oil and came out unharmed. When Pock Face jumped in, she did not come out again. Beauty and her husband sent the remains of her stepsister to her stepmother. When she saw her daughter's remains, she let out a scream and fell down dead. "Beauty and Pock Face," recorded in Shanghai in 1933. 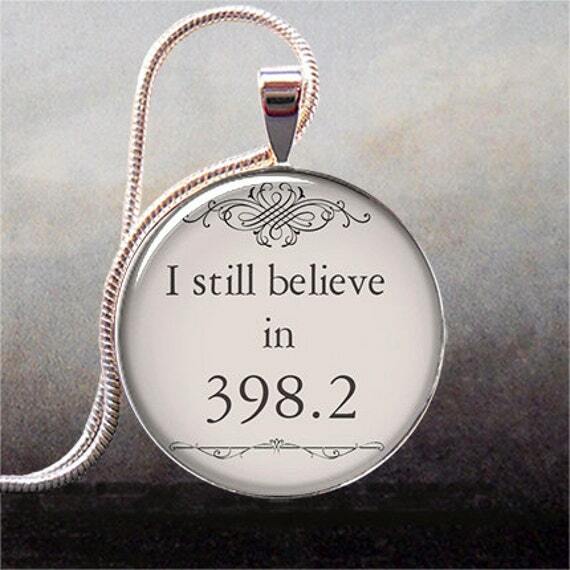 Found in Surlalune's Cinderella Tales From Around the World, summarized by me. Beauty's rage at the beginning of the story is understandable, and arguably much more realistic than the never complaining, always obedient Cinderellas in many versions of the story. However, Cinderella is usually rewarded for being loving to her mother, or her dead mother in whatever reincarnation-here she is surprisingly rewarded, so it seems, for destroying her mother's remains (somewhat like the heroine in the Frog Prince being rewarded after throwing the frog violently against the wall). We also usually tend to think of Cinderella as a story about not judging by appearances or status-Cinderella the servant, after all, turns out to be worthy of marriage to a Prince. This Cinderella turns down her first three suitors for fairly shallow reasons, when she of all people shouldn't condemn people for their lowly positions. Then, how many times can you possibly kill off and resurrect a character? And is there any reason to believe that Pock Face and her mother are truly dead, or will they come back too? One thing I really like about this version is that Beauty's husband, unlike the Prince in most other Cinderella tales, can actually recognize his true bride and smell a rat with the false one. 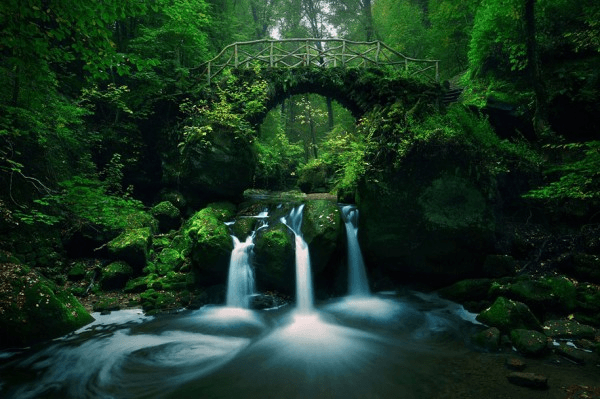 You may remember the buzz a couple years ago when 500 German fairy tales were discovered-Heidi covered it at Surlalune and Gypsy covered it on Once Upon a Blog in 2012 when it was in the news (among other bloggers). To summarize, Schonwerth, inspired by the Grimms, collected many tales from his native region of the Upper Palatinate. Only, he actually did what the Grimms only claimed to do: went among the common folk and preserved the tales just as he was told. And though we may frown upon the Grimms for taking the easy way out-having their educated, of-French-ancestry, middle class friends tell them the majority of their tales, it wasn't an easy task for Schonwerth. He sent out many surveys, many of which were never returned. He made multiple trips to that area of the country, having to first earn the trust of the working class there, who were afraid that they were being made fun of. Also interesting to note, Schonwerth worked for King Maximilian II of Bavaria, becoming one of his most trusted confidants. His son became King Ludwig II, who created the famed Neuschwanstein Castle, often called the Fairy Tale King. 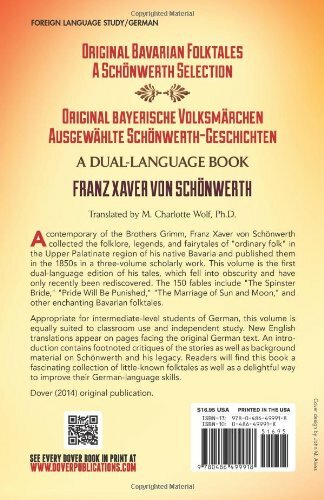 M. Charlotte Wolf, translator/editor of this book, points out that Ludwig may have been inspired in his love of folklore by his father's friend. 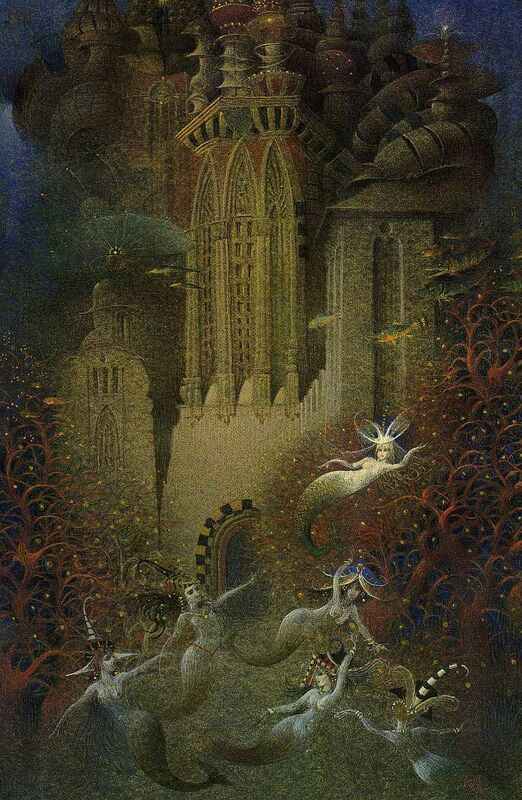 Schonwerth's collection includes varations of some of our familiar fairy tales, but I haven't come across those yet. In fact, overall the stories I've been reading (they are divided into sections according to themes) sound much less like stereotypical fairy tales and more like tales of fairies and spirits, or ghost stories. Much more similar in tone to Thomas Keightly's Fairy Mythology than to most of the Grimm tales (although several of the stories in their collection wouldn't fit into a Proppian analysis either, their collection contains religious tales and other genres as well). 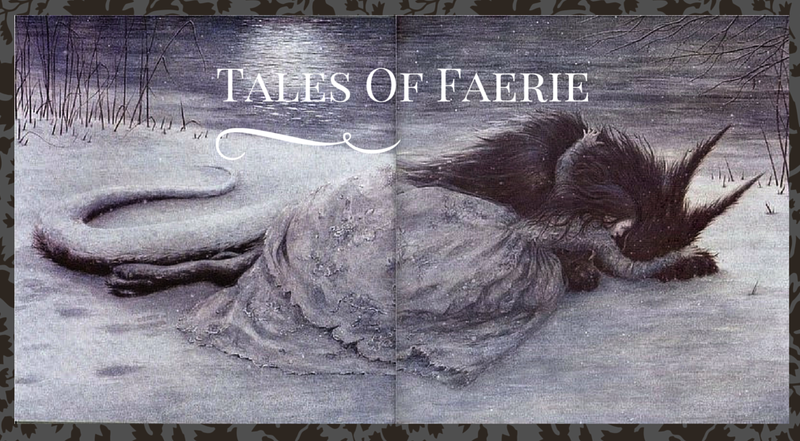 The book includes all aspects of folklore, myths and legends as well as fairy tales. Many of the stories were ways of passing down knowledge of superstitions held by the people (such as, clothing made by a pregnant woman are more likely to be struck by lightning, how to handle changelings, etc.). So in a way they are more warnings than stories for entertainment-and the book contains many helpful footnotes to explain certain customs and beliefs that the stories illustrate. And contrary to the stereotype that all fairy tales end happily, so far the vast majority do NOT end happily. Many characters suffer consequences of failing to heed advice, or simply suffer from some of life's unfortunate circumstances. I'll be sharing more as I read in the upcoming weeks! I've mentioned before that I teach music to people with disabilities at church; long time readers may even remember that three years ago I got the amazing opportunity to go with our group to France, where my students sang and played instruments in various churches, group homes, and a disability festival. We are now going on another trip, this time to Orlando, Florida for the Nathaniel's Hope Make 'em Smile Festival on June 7, as well as some other local performances. And of course, being in Orlando, we'll be spending a day in Disney World. I thought I'd mention it a few weeks early, just in case any of you have friends or family members with disabilities and might be interested. Nathaniel's Hope is a nationally known organization and hundreds of people attend the festival every year. I haven't been yet but I'm really excited! 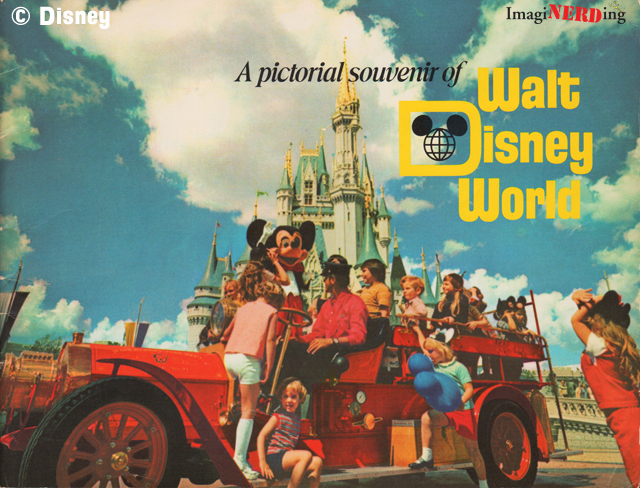 Also, with a day in Disney on the horizon, I've been thinking a lot about the whole psychological phenomenon of Disney, the movies and merchandising, and especially the effect the theme parks have on people's attitudes to those versions of fairy tales. 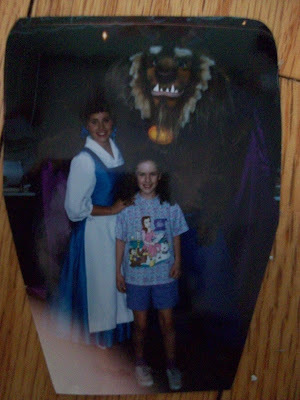 Around the fairy tale blogosphere there seems to be more negative attitudes towards Disney than positive, but I agree very much with Kate W. of Enchanted Conversations when she said she has "REALLY complicated feelings about Disney." For all the issues I might have with certain aspects of the choices made in their fairy tale movies, many of the topics we talk about concerning Disney are really quite complex. It would require multiple posts to talk about their portrayals of gender roles over the years, the evolution of fairy tales, even the character of Walt Disney himself. But even being aware of many of the negative aspects of Disney, that doesn't change the fond memories I have of watching Disney movies with my family as a kid or going to the parks. And as I've mentioned recently, Disney is huge among my students, so it's also a way of connecting with them, and it's been fun to see their enthusiasm. I've been nerdily picking out Disney music for us to perform and having way too much fun Disneybounding on days we have rehearsals. "I love the people I work with. 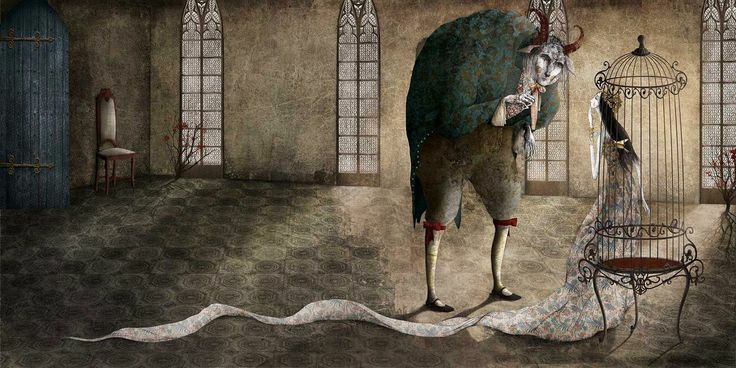 Isn't it interesting that often the heroes of fairy tales are the lowest in society? The youngest child, the servant girl, the one who is thought to be the Fool? And yet they are the ones who overcome all judgement and prove themselves to be the most worthy at the end of the tales. And while my students don't have the highest IQs, they surpass most people I know in the qualities that really count, like love and compassion, and they certainly excel in humor! I hope that through our trip we are able to help overcome prejudice and fear of people with disabilities. For, as we learn in many fairy tales (especially Beauty and the Beast), appearances can be deceiving..."
"Whale Long Necklace is part of the Marionette de Bois Collection by N2 which is a reinterpretation of the famous tale which combines fun and imagination to create the magic of Pinocchio. 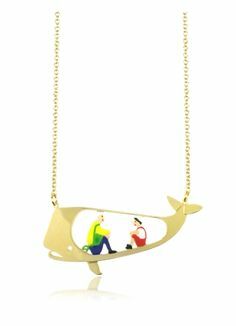 Hand crafted in polished gold plated brass with delicate chain, depicting the scene in the belly of the whale with Gepetto and Pinocchio. Signature tag and lobster clasp. French design." "Little Red Riding Hood, Wolf and Mushrooms Long Necklace by N2 is part of the Chaperon et Champignons Collection featuring Little red Riding Hood and the Big Bad Wolf in a magical forest full of mushrooms. Hand crafted in polished gold plated brass with delicate chain, large mushroom pendant, the Big Bad and Little Red and colorful little mushrooms in enamel with crystal accents, mushroom shaped signature charm and lobster clasp. French design." "N2 collection hand-painted 'Snow White cut face with red poison apple' metal & enamel brass earrings. Hook backing closure. Signature box included. French design." 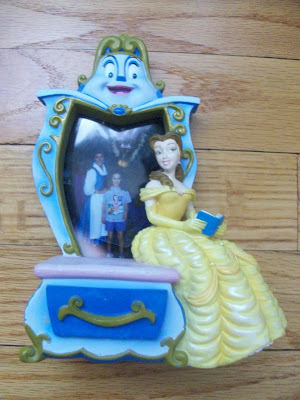 "Hung on a small link brass necklace with lobster closure, Snow White opens the door to find the evil Queen in disguise. French design." "Add a stylish on-trend touch to your wardrobe with Alcozer & J's majestic frog prince brass ring featuring inlaid gemstones and sophisticated pearls. One size only, approximately 7.5 US. Gift box and Signature protective pouch included. Made in Italy"
There are more variations than I've shown here-more Riding Hood, mushroom, and Pinocchio pendants, if you want to go to the site and browse more. 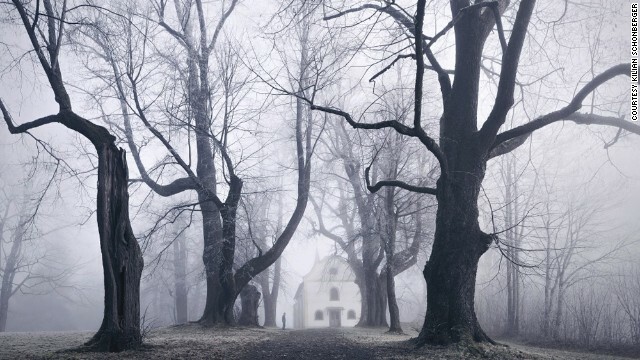 Some places screamed "fairy tales!" more than others to me, but here are a few of my favorites. 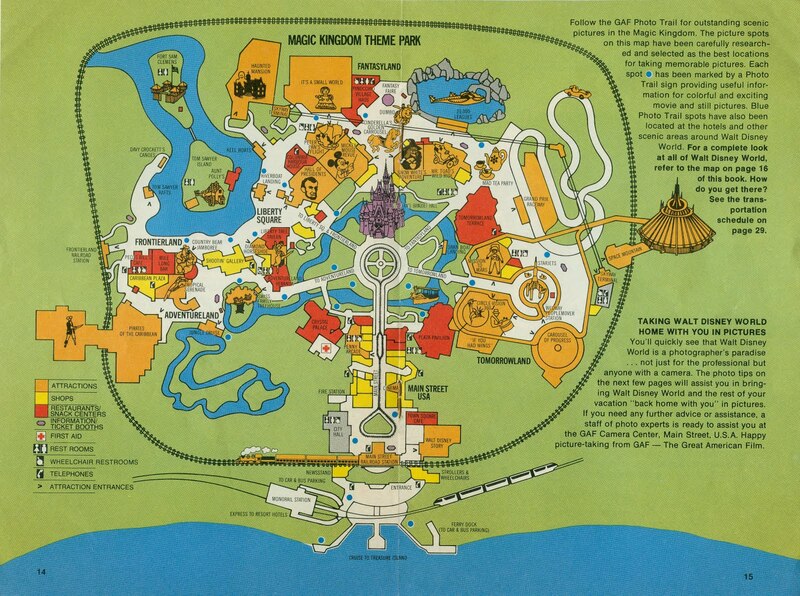 And contrary to my selections, they featured locations from all around the world, not just Europe. 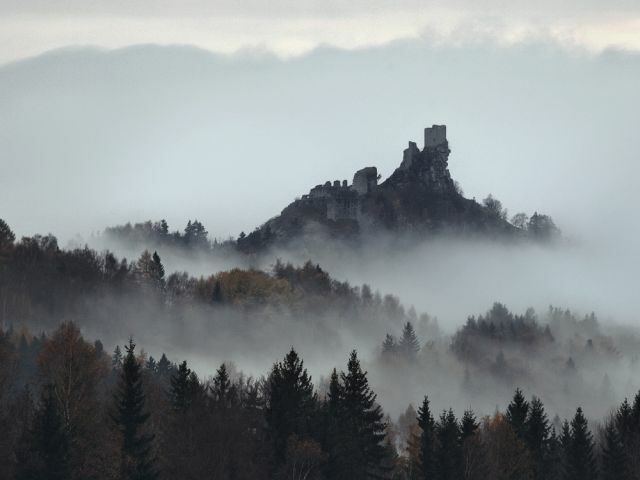 How I would love to visit any of these places...and what a way to make fairy tales in their historical settings come to life! When I went to France and Germany in 2011 I was very aware that I was in the same areas where many of the versions of fairy tales I love were being told, spread, and collected. 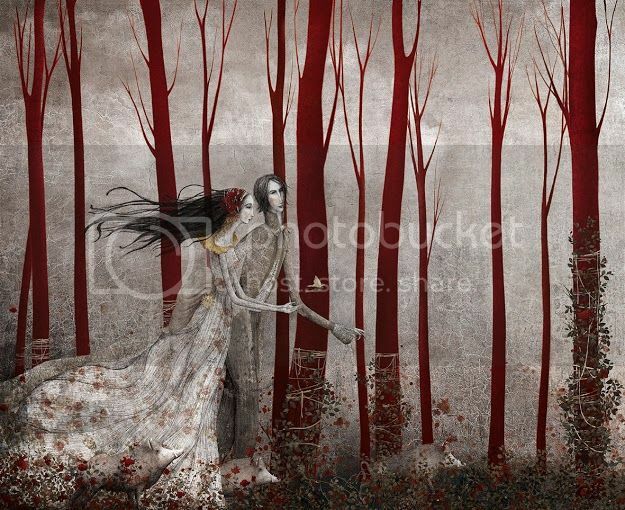 "The Little Red Riding Hood never felt like a children's book to me. It felt so dark and twisted, and I wanted to create a look that reflected on this dark tale. If you're looking for a more innocent sweet Red Riding Hood look, this is not the video for you. I recommend watching Princess Belle or Anime Eyes for a brighter, more childlike look." I like that she brings out the dark side of the fairy tale, and even warns watchers that this is not an innocent and childlike fairy tale look :). Later in the video, when talking about her choice of gold eye shadow as a reference to blonde hair, she mentions that the fairy tale never specifies the hair color, but that most illustrations show her as blonde. So, she did her homework! My makeup routine is very simple and natural, if I put it on at all...so I won't be trying out this look, but it was fun to see a fairy tale character being interpreted through makeup. One of the main issues we have with the story "Bluebeard" is how countless authors, psychologists, and the population at large has managed to see a story with a serial killing husband as a cautionary tale about women's curiosity. It defies logic, frankly, and a great deal has to do with sexist attitudes passed down to us from hundreds and hundreds of years of negative stereotypes. And this is all assuming we are taking the story literally-of course the evil of multiple murders outweighs a desire to go where you're not supposed to, especially in marriage where there should be trust and honesty. And no matter how many ways we can look into fairy tales, I think it's always important to remember that the literal events of the story should never be ignored. People read into tales an infinite number of ways, but the plot of the story is the glue binding our reading experiences together and is always the most obvious way to read things. So while it certainly doesn't explain away baffling and misogynist interpretations of Bluebeard, Maria Tatar points out that there are other ways to look at the corpses discovered by the latest wife. First of all, on a historical level, she cites Marina Warner who reminds us that, before modern medicine, many women died young, often in childbirth. Thus, remarriage was common. This accounts for the plethora of stepmothers featured in fairy tales-they were not uncommon and often did experience friction when dividing a small inheritance among their own children verses former children. And thus it may be that many older men did, in fact, have several dead wives, just not by their own hand (and hopefully, not set on display in a secret closet). Although, if a man's wife were to die in childbirth, I would think he might feel responsible on some level, and it's possible to imagine many men with survivor's guilt as his attempts to extend his line result in taking away someone he loves. Francoise Gilot, the wife of Pablo Picasso, saw the tale in this way. Picasso had many ex-lovers and he intentionally manipulated them to exploit jealousy. Gilot termed it a "Bluebeard complex"-not only did he have former lovers, but he enjoyed "displaying" them in a twisted way. And he recognized that, in a way, any new romance will in a way "kill" the old one. Being with a new partner wipes away the life you had with an old one, but some people are better at severing ties than others. Gilot had many interactions with Picasso's former wives or mistresses and wasn't able to entirely rid herself from their presence-they did, in a sense, haunt their household the way the corpses did. It's a reminder of how powerful fairy tales can be even in our modern lives and issues. 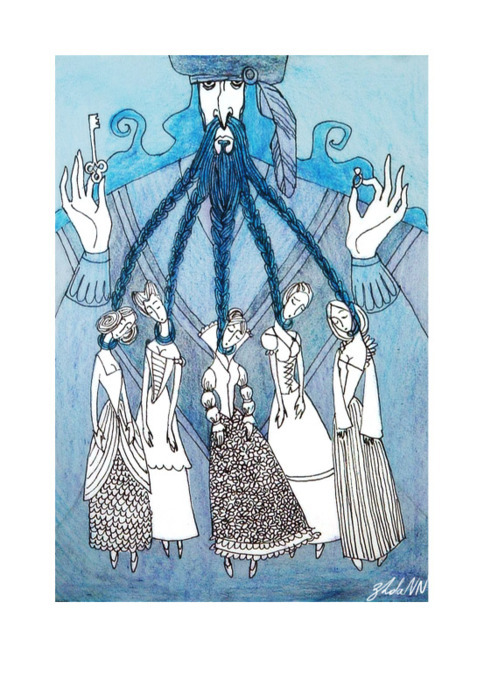 Tatar says, "By positioning her own marriage in relation to the Bluebeard story Gilot found a tool for thinking through and understanding the powerful emotions evoked by her husband's past." Again, with feminism and gender roles such a hot topic in fairy tale studies, it's kind of impossible not to read fairy tales without that gender lens. Case in point, two Swedish fairy tales, one which has a male protagonist and one female. In "The Maiden in the Castle of Rosy Clouds," by Harald Ostenson, a beautiful maiden appears to a poor, travelling worker, telling him that he must find her. The man, who is never named, has no idea how to start. 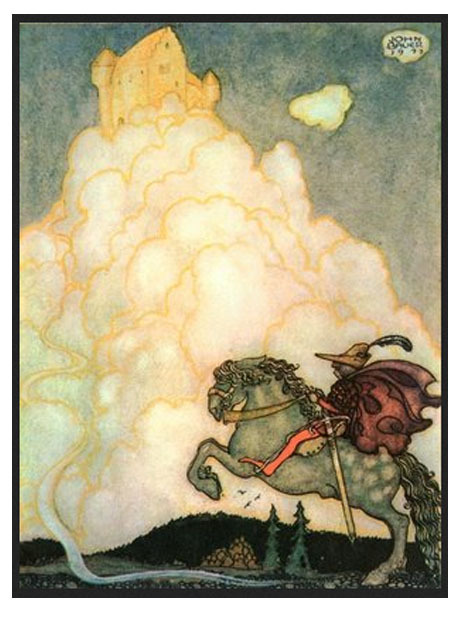 Eventually he came across an old woman who told him of an old poem that tells of the Maiden in the castle of clouds, and the way to find her is to find a certain gray stallion, a red mantle, and a sword named Gull to kill an iron serpent. Again, the man has no idea how to get these things. He goes about his life, but every few years he comes across a situation where someone else is in trouble. He bravely-sometimes arguably foolishly-attempts to rescue them. And each time he does, he finds himself holding the sword, or wearing the mantle, or riding a horse. But it has taken years and years, and by the time he does come across the castle, he is an old man-but the maiden makes him young and handsome again. In "The Queen" by Anna Wahlenberg, there is a beautiful girl named Adelgunda. She has eyes that are so large and expressive that she has twofold abilities-to see inside each person's character, and to express everything she is thinking and feeling without words. She falls in love with a neighboring prince, but knows that if she looks on him, her eyes will reveal her love, and it would be improper for her to love a royal prince. When she is supposed to meet him, she wears a veil to protect her secret. But the fact that Adelgunda refused to look on the Prince with her eyes made rumors spread-people assumed there was something wrong with his character she did not want to be made known, and people began to think badly of the Prince. His betrothed called off their engagement, and his own people became suspicious. So finally Adelgunda went to his kingdom to look him in the eyes, and in doing so betrays her feelings for him. But as she is turning to leave in shame, the Prince calls out for her not to leave, for he will make her his queen. So it is clear that the man and woman do fit into the stereotypes found in many fairy tales-the man does daring feats of bravery and the woman looks beautiful while remaining much less active. But first of all I should point out that, though this image of a knight in shining armor battling dragons has become the typical fairy tale princely image, that is really not often the case-this story is more of an exception. Men are more likely to leave home, but really they don't do all that much more. More often than not they happen to come across magical objects or animal helpers that advise the main character and guide him to a happy ending. And in "The Queen," Adelgunda's actions really do show bravery-she is willing to suffer humiliation and shame rather than let someone else's reputation get ruined. It's just a quieter form of bravery, but admirable nonetheless. I'm always wary of feminist readings that seem to deem sword weilding types of bravery, or other stereotypically male actions, as "better." And another thing I've been mulling over is how to stay historically accurate. It sometimes frustrates me that we have all these historical novels in which females go against the grain, taking initiative and sometimes joining men in more athletic pursuits-which in itself is great-but at the end everyone else just accepts it. The love interest actually likes her better for being unique, all is usually forgiven. In most cases that's just our culture interposing our current ideals on history but in a way that oversimplifies things. I was thinking of this as Tony and I were rewatching "Mulan" the other night (thank you Netflix instant play!). The ending seemed too perfect and frustratingly unrealistic to me, but then Tony told me it was based on a true story. I did a little digging-it is based on an old Chinese ballad and Mulan may or may not have been an actual woman. Either way, the fact that the culture at large valued this story of a female who dressed as a man and was greatly respected in her twelve years as a soldier speaks volumes. "Hua Mulan Goes to War"
Yet that isn't true in every culture. 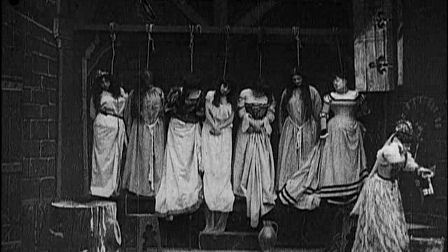 The historical equivalent in Western culture, Joan of Arc, obviously did not fare so well-despite being a brave hero, she was burned at the stake. 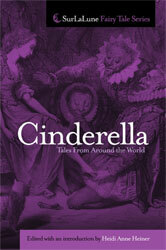 If a Cinderella in certain cultures had refused to do work, she could have been beaten or worse. One of the ways fairy tales are so powerful is their ability to give us hope, but I don't know how I feel about giving young adult fairy tale novels readers such a skewed view of history. 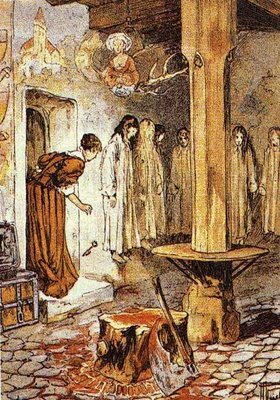 The more I learn about history the more I realize how shocking fairy tales really were-if not in their portrayal of women, then for the fact of people marrying outside of their class, or marrying for love. So much of how we understand fairy tales is totally changed when you learn more about the historical context, and mixing eras of history can lead to misunderstanding.